I headed to Toronto today to check in with my Orthodontist. I was hoping to take these damn braces off and be done with everything but alas they are still firmly glued on to my teeth. While I was there I wanted to meet a young girl who is local to me that has been doing amazing things. Her name is Kayla Baker she is 14 years old and has been though much in her short life. When she was 18 months old she was diagnosed with cancer and underwent many rounds of treatment and had surgery to remove a mass that had invaded her young body. Thankfully she was considered to be in remission and spent the next few years being a vibrant girl. At age 11 she was again facing another battle this one because of a disease called Pulmonary Fibrosis, which is described by Canadian Lung Association as “…a chronic disease that causes swelling and scarring of the alveoli (air sacs) and interstitial tissues (tissue between cells) of the lungs. The scar tissue replaces healthy tissue and causes inflammation. This damage causes your lungs to stiffen and makes breathing more and more difficult.” It is believed that Kayla’s cancer treatment is what brought this battle to her as certain drugs are known to be linked. What Kayla needed was a double lung transplant. Kayla was on the wait list for 15 months when she received her gift of life, one lung. Thankfully one can live with just one lung and on April 3rd 2013 she got that amazing gift. Her energy sparked a movement and brought awareness to the plight many are dealing with, the lack of organ donation. She is trying to bring awareness and is also hoping to raise a boat load of money for our mutual favourite hospital: The Hospital For Sick Children” she is trying to raise $10,000.00. I connected over the last week with a family friend of Kayla’s named Sarah Taylor who agreed to talk to Kayla’s mom Susan to see if it might be possible to meet Kayla and get her permission to write about her in my blog. I was THRILLED when she said it would be ok. Kayla has been on a ventilator and now that her new lung is in place has to relearn how to breath something we take for granted. I met Kayla in the ICU today when they were just having her use assisted breathing not having a machine do the work for her. She was visibly scared but she was sticking with it. She wanted her mom there for support and when she started to panic a little her mom held her hand helped her to feel her breath by holding Kayla’s hand to her abdomen. Kayla is such a brave girl and still has a long road a head of her but I know after meeting her that she will pull though it all. I found an interesting fact that over 1000 Canadians are waiting for some type of organ. Be it lung, heart, liver, kidney or any other that’s a lot of people that may not make it. The hardest part is knowing that someone has to die in order for someone to live. In that one moment where a family’s life is shattered some are brave enough to offer the gift of life to another family/person. I couldn’t imagine having to wait knowing that but I heard something interesting from Susan (Kayla’s mom) in a TV interview that said that even if she hadn’t made it Kayla had already made the tough choice to donate her organs. This is one amazing young woman!! 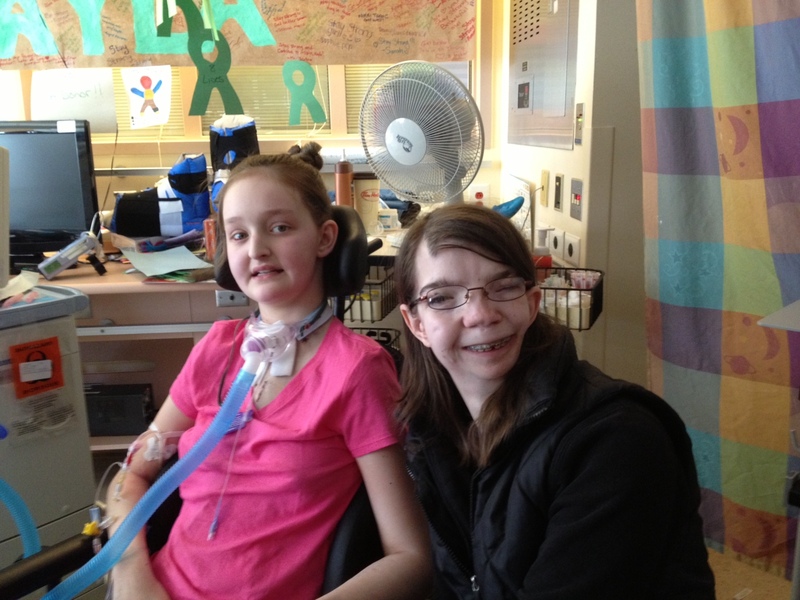 I’m proud to say I have met Kayla possibly in the same ICU room I spent time in when I was just a bit older then her. I’m proud to say that I join her in her quest to bring more attention to organ donation. If you haven’t registered please do. If you are not Canadian please look at the options that are available in your own country. This story brought tears to my eyes. Actually, it really made me emotional. Thanks so much for sharing, this has touched my heart. The TWO of you are so strong !